With the growth of Real Estate business industries, Business industrialist wants to give a way to the customers where they can access each and every information through a single click. As A result, Business owners and brokers have started investing in Real estate application development. How we build our knowledge over Real Estate App Development? Today, mobile application become inseparable part of human life. In terms of real estate business, Mobile application provide a comprehensive information to the buyers. They can make quick decision from that given information. Rather than connecting broker, people are getting attracted towards the application. The main reason is people are getting security features in application. So, they can get verified information from it. Our development experts create a mobile application solution that provide full information. People can view property in the application with short of description in it. Concetto Labs have a skillful development team who can work on both iOS and Android platform. 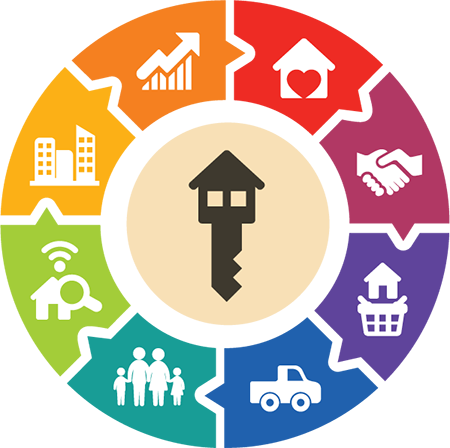 If you are in the Real estate business and want to connect with targeted audience, then you are at the right place. How our structured efforts provide a strong set of services in Real Estate Mobile Application services? We built the customer relationship management software to maintain the record of the customer. For keeping the trace of attendance and leave of the employee, we create a software that reduces the time. We have skillful development team who can create customized content management system. We create the software that keeps the record of inventory which is inventory management software. The team collaboration can be handled through the single software. It will manage all the details and work related to the Human resource. For keeping the details related to Broker, we can create Broker management solution. We can integrate our app with other portals to compare the properties and other uses. Why we engineer the best Real Estate app and Why should you choose us? We provide affordable and secure development to our customer. We arrange effective conversation with our client that is very helpful in terms of technology. Professional Developers at Concetto Labs ensures that we expand our services. Which can generate more options for you to select. We always focused to deliver high quality service with the transparency. How our high end quality services are more preferred than others? We don't bound our limits for particular one section. We expand our wings in providing different services. We have the advance technology to work with our client's project. We stay connected with the updation in technology. We deliver high end quality service to our customer in a very cost effective price. While creating an application it is necessary that your context should match with the structure of app. We always keep in mind and work accordingly.